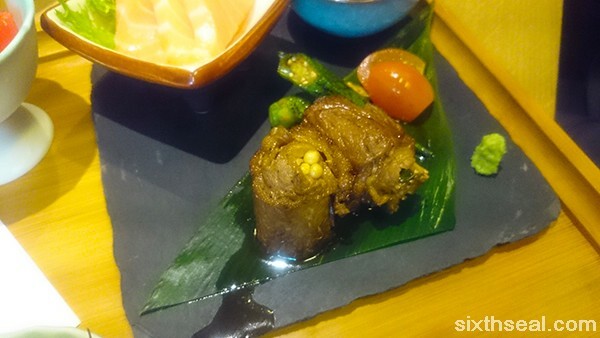 That’s good news to know I could slurp the famous Hakata Bone Soup in BSC! 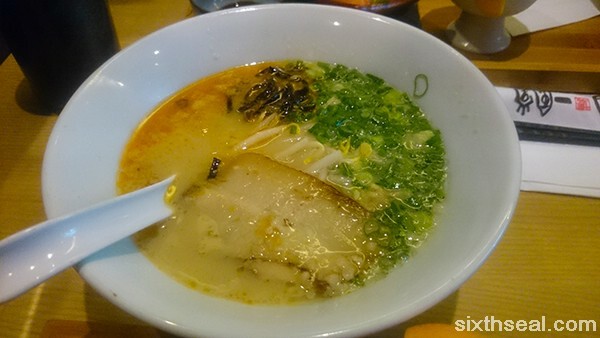 Last year I went to Fukuoka and had Hakata Ramen everyday with their pork bone broth. It was so yummy and I even saw TVB’s Ekin Cheng eating at the same road side stall. I will go to BSC next. You burning holes in my pocket. I used to watch him in Young & Dangerous. I’ll love to eat ramen in Japan too but since we got an overseas trip planned for this year dy, it’ll have to be next year. 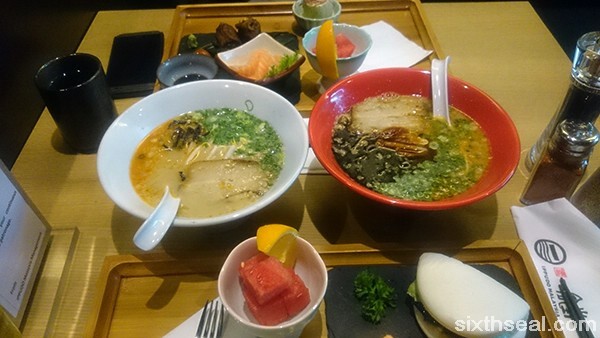 This is a pretty good deal if you want to eat more variety – a regular bowl of Ippudo ramen starts from RM 33 while this set with half-bowl ramen and other stuff is less than that. You have postponed your trip few times! Delay no more as their scientists have hinted big earthquakes looming. It’s all good though, still going for two overseas trip this year. Food looks good. I’ve been to Ippudo in Pavilion and the Gardens. The napa cabbage wasn’t nice? 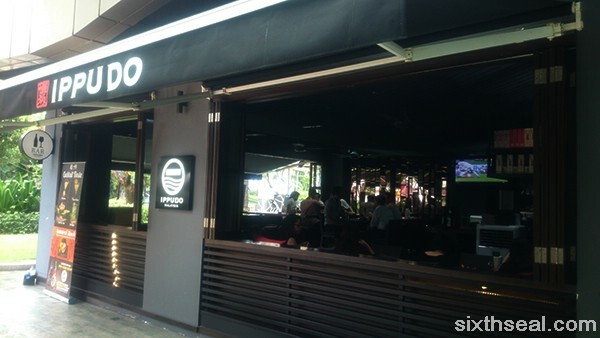 This one is pretty much the same but has a Bar Ippudo which serves speciality sake, Japanese single malt and blended whisky and other drinks from the Land of the Rising Sun. 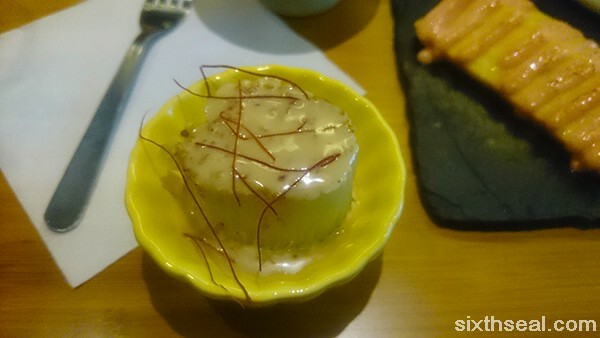 I even saw a wasabi cocktail in the menu. I didn’t quite like the Napa Cabbage personally. Hmm.. I’ve been to the outlet myself but during dinner time . Lunch seems a good option there judging by the combos they have! must try, must try. A bowl of Ippudo ramen starts from RM 33, this is less than that, but it’s half-bowl ramen. It comes with a lot of sides though so it’s worth it if you like to eat different things but don’t want post-lunch coma from a large portion of ramen. It’s really good, there are more good ramen places in KL nowadays. 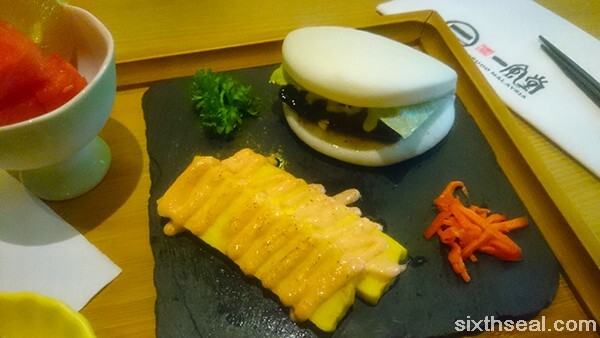 We have a few “Japanese” restaurants in Sibu too but none worth mentioning. 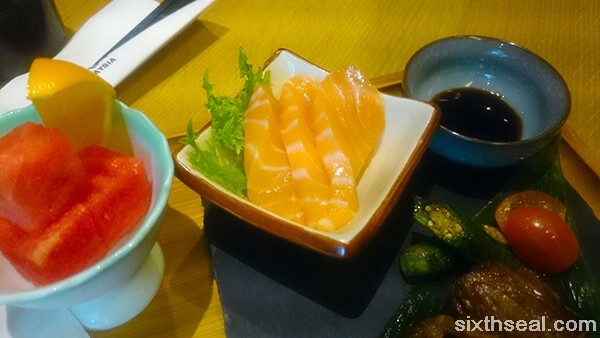 KL used to be like that too until the ramen craze – that’s why I love living there, capital cities have the best food, both in variety and quality. Hey! Who’s that handsome looking chap? Hmmm…come to think of it, you’ve never taken me to eat anywhere in KL and the surrounding areas hor? Yeah, I don’t recall ever meeting you in KL. There’s a lot of good and authentic ramen places here nowadays. Give me a buzz next time you’re around. Yay, ramen! Kam ngam I was watching this Japanese “big eater” girl in YouTube before I clicked on your blog, her name is Yuko something, she can eat 100 eggs, 5-pound rice, 5-pound ramen, 5-pound spaghetti, 100 plates of sushi, you name it.. Then I see ramen in your post, haha.. The dessert looks like it has got saffron strips on it.. 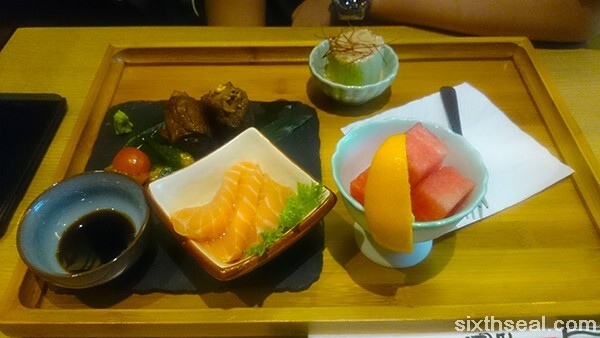 I showed it to my better half, it’s quite amazing, the amount that the Japanese girl can eat. I personally don’t think it’s real since there are cuts where she could have spat out the food after chewing with the fast forward motion but it’s sure interesting. Haha. Oh, that’s not the dessert, that’s the Napa Cabbage. Japanese ramen anytime for me. It seems only in KL you can find authentic ramens other than SG and some other places. 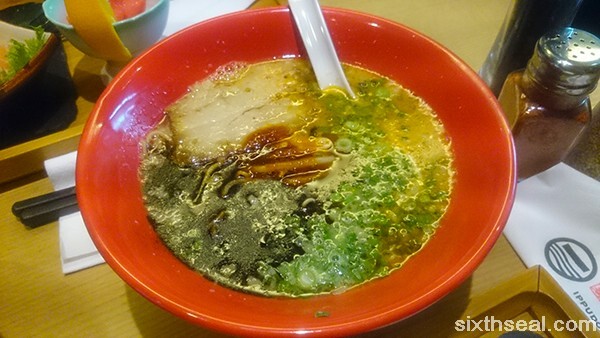 In Jb, the ramen somehow looks more localised and I don’t find the egg and chashu there. I guess the metropolitan areas has more demand for it due to the sheer size of people in the city. It’s easy for you though, you can always just go to Singapore. I love your choice of ramen. Am drooling over it now!!! Yeah, it was really good. 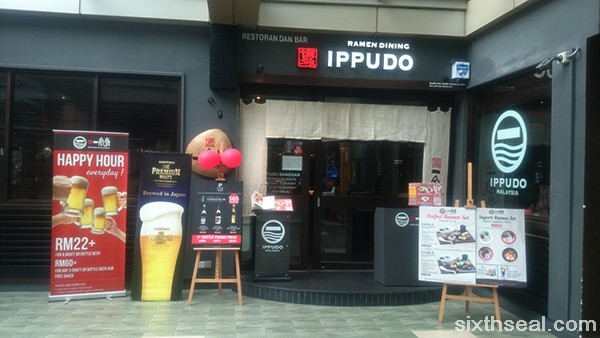 I love Ippudo ramen, it’s one of the better ramenya that came to KL from Japan. 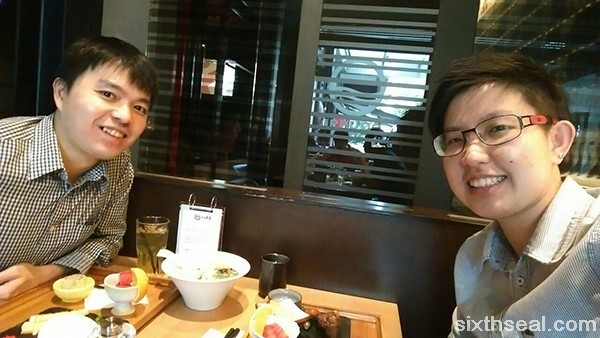 It was really great to finally meet you after a series of events :) you could have told me that you wanted a bite of my food! I wouldn’t have mind! My apologies about the multiple reschedules – had a string of unfortunate events I had to attend to. Haha! Yeah, I didn’t want to be rude, I’ll be sure to eat yours next time! See ya soon. the food here looks really yummy. Especially the Ippudo pork bun, juicy! 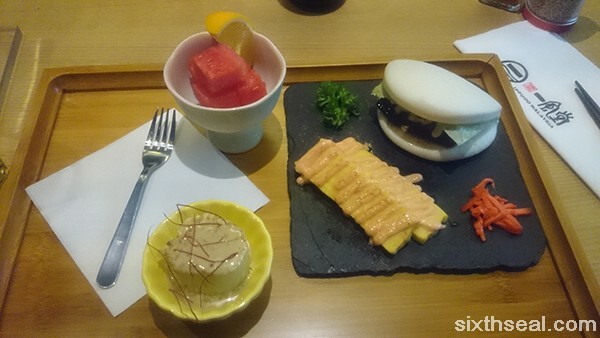 The pork buns are really good too, they’re known for that as well. I love it, which is why I’ll rather have the set with a half-bowl of ramen and the Ippudo pork bun instead of a full bowl of ramen.